All you have to do is get a vase, or really any container. 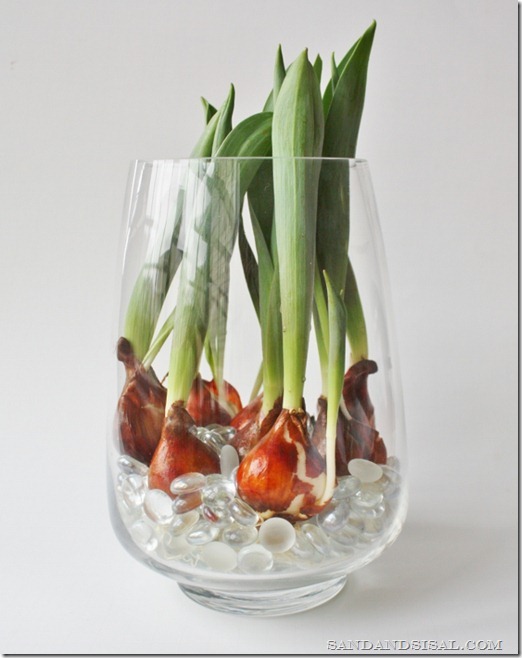 I prefer a clear vase because I can see the bulb and the growth of the roots. Before you put the bulb into the water, you will need to cool the bulb. 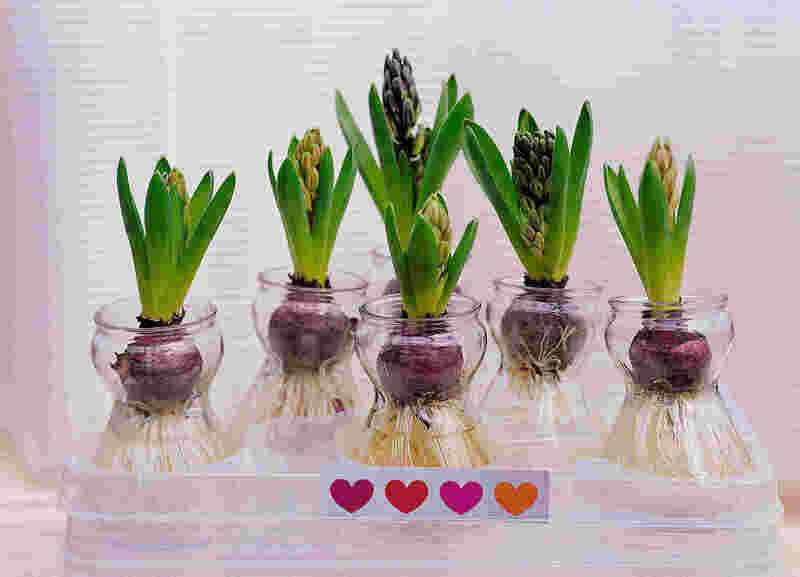 Place the bulb in a cool, dark area for four to six weeks. You don’t want the bulb to be sitting in water so you want to have rocks propping the bulb up and to keep the bulb from sitting directly in the water. If the area is too warm, the bulb will produce more leaves than blossoms. When the flower stalks appears, place the vase in a warm display area. Do not use the same bulb next year for forcing, because most of its stored energy has been used up. 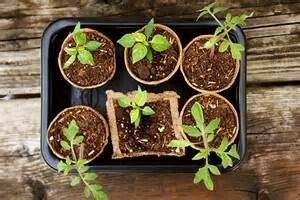 Throw out the bulb or plant it outside in the garden. For most seeds you dont need to start them early. But with some, like corn, squash, and mellons I would recommend starting early. 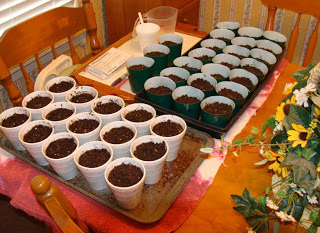 For beans, and corn its easy enough you can simply put them in water and when they begin to sprout you can plant them in any small containers; when they have a nice stalk/sprout to them (and its warm enough outside) you can transplant them to your garden. As always if you want to please send us photos of your little garden, or large gardens 🙂 We love seeing your projects!